Few people consider cookies for breakfast. But on a cloudy Saturday morning in Austin’s West Campus neighborhood, I was doing just that. Sampling tarts, cupcakes and macaroons while moving trucks brought dozens of UT students back to school in the area around me. I felt like a kid sneaking treats in Willy Wonka’s factory. It felt good to be so bad. And this local bakery more than delivered. Nestled on a quiet street in a lively part of town, My Sweet Austin has made a name for itself in the ATX baked goods scene. 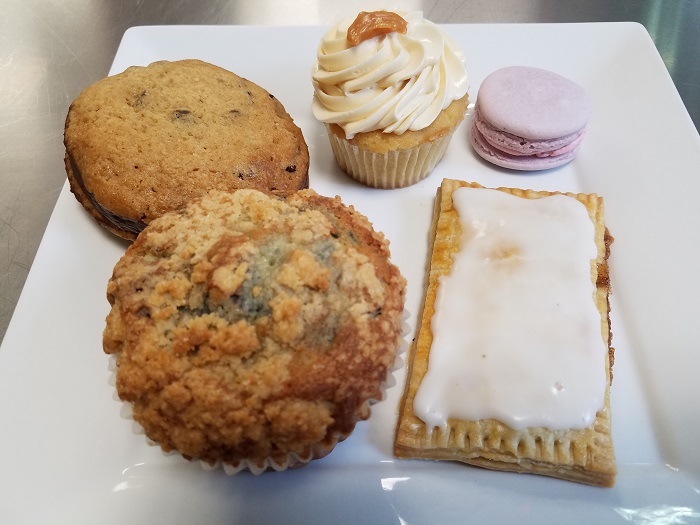 While still owning a young business, head chef Sara Mayes has concocted a menu full of fresh, lively flavors that leap off the baking sheet and into your mouth. A native of Dallas, Chef Mayes started her cooking career in her mother’s kitchen. As she transitioned from children’s classes to restaurants to an accelerated course at the Professional Culinary Institute in California, Mayes knew her love of baking would be a perfect fit for Austin. Currently residing in a tiny space that was once a sandwich shop, My Sweet Austin has been churning out delicious treats for almost a year. But making a home in West Campus wasn’t a happy coincidence. Mayes felt it was relevant to her philosophy. Fresh, clean and subtle are the overall thematic elements of My Sweet Austin’s culinary offerings. Very little of what I tried overpowered my palette. Instead, Mayes focuses her attention on mastering the basics: fresh ingredients, excellent texture and strong base flavors. This is immediately apparent in the dulce de leche cupcake. Made-from-scratch dulce de leche butter cream sits atop a beautifully simple vanilla cake base. The mouth feel is light without being airy and is balanced by a rich, velvety butter cream topping. The trend continues to My Sweet Austin’s unique take on the classic macaroon, which explodes with lively raspberry and lemon flavors. 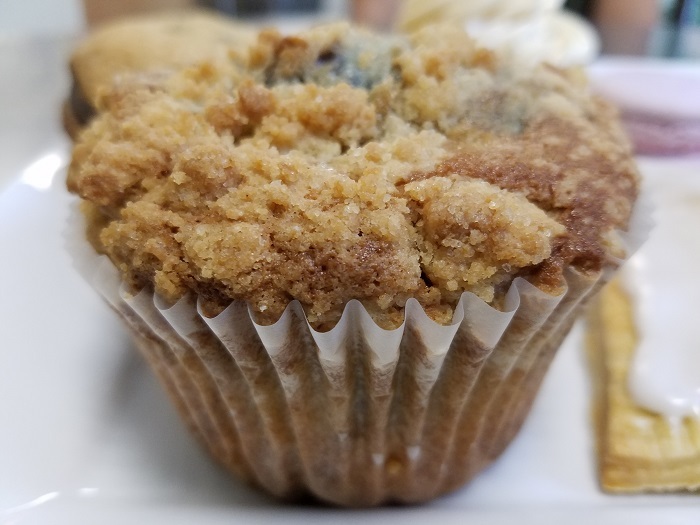 The blueberry muffin, on the other hand, is just dense enough without being overpowering. You’ll even find an adult Pop Tart that’ll make you forget about the shrink-wrapped squares taking up space in your pantry. Filled with a brown sugar and cinnamon filling, the tart is a wonderfully delicious blend of flaky and flavorful. Seriously. The pie crust base of the tart is out of this world. 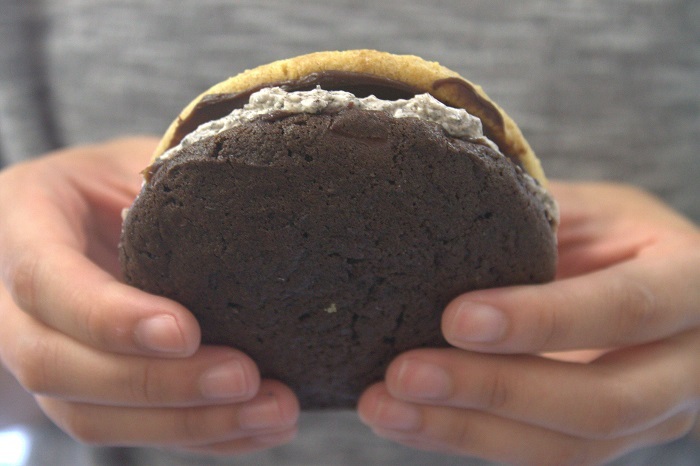 Which brings me to the star of the show, the chocolate chip cookie sandwich. Two chocolate chip cookies layered with chocolate ganache, sandwiching a thick layer of homemade chocolate mousse. As a choc-o-holic, I was immediately in heaven. The tender, soft baked cookies could stand on their own, but the extra richness of the mousse elevates the dish from yummy to sensational. While My Sweet Austin thrives on UT foot traffic during the school months, in the summer, it’s all about catering. 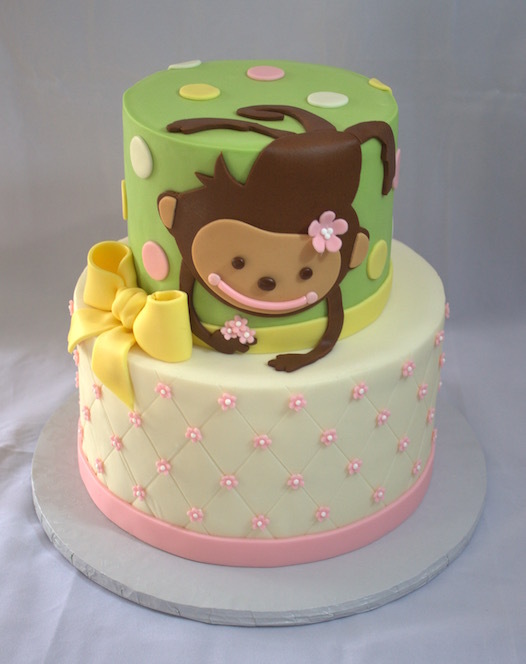 The team conjures up adorable specialty cakes for all occasions, big and small. Dozens of examples can be found on their website and Instagram account. Future plans include a new online ordering system, Austin-wide delivery and potentially a larger space to make their amazing creations. But Mayes isn’t looking to leave West Campus just yet. Combining a passion for quality ingredients, vibrant flavors and a heart towards the city, My Sweet Austin feels like the culinary version of your favorite warm blanket. The comfy, down home ending to a great family meal. Even breakfast. My Sweet Austin is located at 910 W. 25th St. in the West Campus neighborhood. For menu, updates and social media links, go to mysweetaustin.com. Where do you turn to satisfy your sweet tooth in Austin?